Still supremely frustrated with the whole internet thing, but at the moment it seems fairly stable and fast enough that I can actually do something. 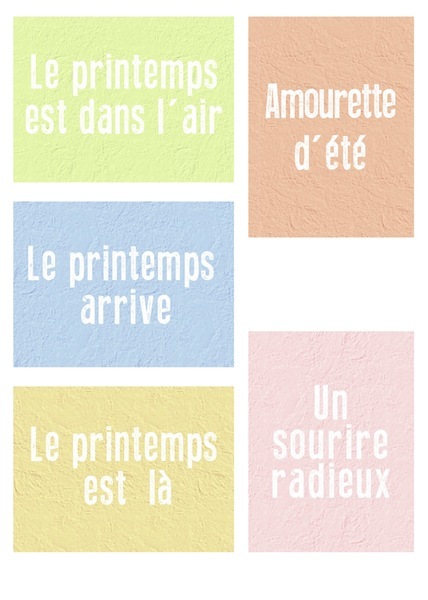 I am going to add the final French printable, the Summer ones, that are complete. I have the longer quotes from Opsite for the calendars and promise they will be top of my list. There are two pages, the only difference being the colours. The one you see here is lighter, the other the colour is a bit more intense. Grab them here! And with any luck you will see me again tomorrow, and for WOYWW. Categories: French, printables, Project Life | Permalink.